I was in a car commuting from home to my daily errands. The car was speeding at about 80kms per hour. Suddenly, I saw a dog running so fast trying to overtake the car so that it could cross the road. I was frightened that the car would overrun the dog. I was praying that the dog would increase its speed and cross the road safely. 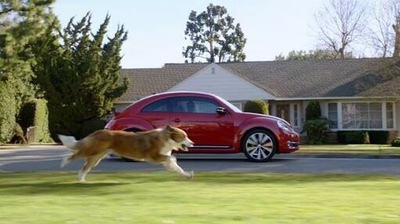 The car was fast approaching the dog. Then, I saw the dog suddenly increase its speed and was able to cross the road successful. Pheew, I sighed, thanking God it wasn’t hit by the car. But, there is something I noticed that fell off before the dog suddenly increased its speed. I asked the driver, could you please reverse. I need to see what fell off. When I saw what fell off, I learnt one of the greatest life lessons that day! The dog let go of the BONE. It was that SIMPLE, it reached a point where the dog had to let go of the bone in order to gain speed and save its life . with the BONE out the way, the dog was able to take in more air to release the much needed energy for escape. Men, the dog is SMART… I thought. ‘Let go of the bone’. There are bones we have held onto in 2017. If we succeed to let go of the 2017 ‘BONES’, then we will do wonders in 2018 and years beyond. There are so many types of bones which for sure have held us back. Let’s make the painful decision of letting go of the bone. Let’s not cross over 2017 with our BONES. – Poor spiritual life; that’s a tricky bone, even the hyena cannot handle. These are only few examples, the list is endless. Bones lag us behind from reaching our God-destined potential. Happy 2018!God bless you abundantly! !